Welcome to this year's 30th issue of DistroWatch Weekly. It is "shoulder season" in the distribution land. Apart from several minor distribution releases, it was a slow week, with only the launch of the Utnubu initiative and a new beta release from Mandriva providing some excitement. 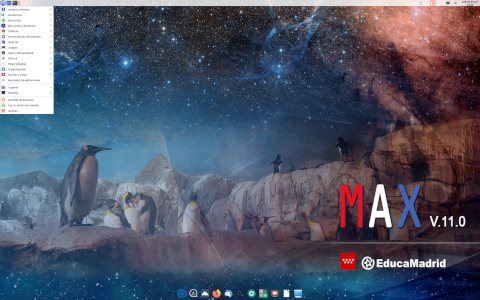 Prompted by a satisfied user, we have taken a closer look at StartCom MultiMedia Edition, an interesting distribution based on Red Hat Enterprise Linux. Apart from these topics, we have all the usual columns, complemented by a quick tip for using digital cameras, mobile phones and music players under Linux. Happy reading! Utnubu is a new Debian initiative that examines Ubuntu patches and applications missing from Debian in order to merge some of Ubuntu's ideas back into Debian: "I invite everyone interested to join the Utnubu Team. Utnubu stands for doing what Ubuntu does, just the other way around: we want to take the things Ubuntu does and that are missing in Debian, and - where applicable - put them in Debian." More information about Utnubu is available in this mailing list post. A new beta version of Mandriva Linux 2006 appeared on the mirrors over the weekend. Like the first one a week ago, the new beta release, labelled as 2006 0.1.1, has not yet been officially announced, but the good news is that the mirroring problems we mentioned in last week's DistroWatch Weekly have been solved and the new release is now available from the usual Mandriva mirror sites. The differences between the two betas seem to be minor: a few package upgrades and bug fixes, but no apparent new features. Why FreeBSD? If you are a Linux user wondering about that other big open source operating system, then this article, published by IBM developerWorks, provides some answers: "The FreeBSD operating system is the unknown giant among free operating systems. Starting out from the 386BSD project, it is an extremely fast UNIX-like operating system mostly for the Intel chip and its clones. In many ways, FreeBSD has always been the operating system that GNU/Linux-based operating systems should have been. It runs on out-of-date Intel machines and 64-bit AMD chips, and it serves terabytes of files a day on some of the largest file servers on earth." The July issue of Red Hat Magazine was published last week. Brimming with well-written and to-the-point articles, Red Hat Magazine is a truly valuable productivity resource - and not only for Red Hat or Fedora users. Take this article on Planner, a project management application: "Project management software is a useful tool in planning and scheduling a project. Planner is an application that attempts to make project planning easier by presenting your information in easy-to-read charts and tables." The excellent article provides a step-by-step guide about creating and managing a project, accompanied by a number of screenshots. Last week, a reader sent us an enthusiastic email: "Just wondering why StartCom isn't in the [top 100 page hit ranking] list? 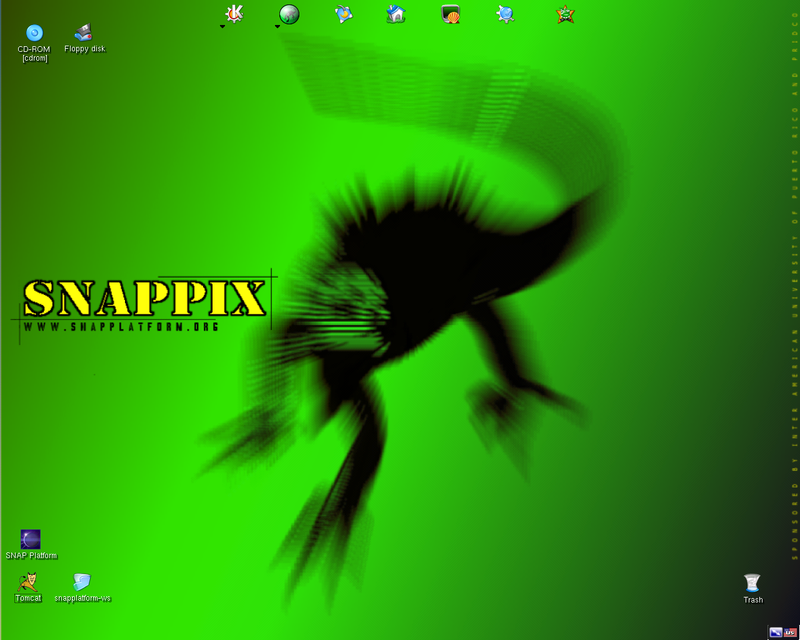 This distro rocks over SUSE and Mandriva! I actually like it better than Ubuntu also. StartCom deserves to be known about as they are better than many other distributions!" As always, this is just a personal opinion of one user, but it still prompted us to download and install the recently released StartCom Linux 4.0.4 MultiMedia Edition, code name "Raam". Is it possible that a true gem is hiding behind a seemingly unimaginative name "StartCom Linux"? First, a little bit of history. 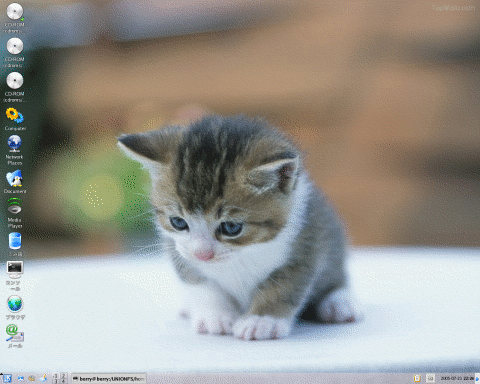 StartCom Linux is a relatively new Linux distribution, barely one-year old. It is developed primarily by Eddy Nigg, a coder from Eilat (אילת), which is the southernmost city of Israel. Initially, Eddy's idea was to create a "free" edition of Red Hat Enterprise Linux (RHEL) by recompiling its source RPMs, thus duplicating the effort of CentOS, White Box and other similar projects. However, the difference between these and StartCom is that Eddy has also built several specialist editions, which further extend the capabilities of RHEL. Of these, the MultiMedia Edition is probably the most interesting. Special software for recording purposes: there is a whole recording studio with mixers, recorders, sequencers, synthesisers and many, many related effect tools and other stuff you need to run a production studio. This section is rather big, but well-integrated into the distribution. In other words, StartCom MultiMedia edition is essentially Red Hat Enterprise Linux, which is one of the best-tested Linux distribution available today, enhanced by a large number of open source tools and programs for the most demanding multimedia user - all integrated into one compact and pre-configured package. In fact, once you boot into your newly installed StartCom distribution, you will quickly notice that the "Sound & Video" GNOME submenu is the largest one by far - it contains no fewer than 37 applications! As such, StartCom MultiMedia Edition has to be one of the most complete multimedia distributions out there, and one that all audio/video enthusiasts should give a try. For more information about StartCom MultiMedia Edition, please visit the project's home and features pages. CD and DVD ISO images are available for free download from the distributions many mirror sites. StartCom MultiMedia Edition with Audacity, BEAST, Kino, MPlayer, Sound Juicer, Rosegarden, Xine and other software for audio/video enthusiasts. A new version of Puppy Linux is out: "Puppy Linux version 1.0.4 is released. The great news for this release is the Puppy live CD now has Gnumeric, the premier Linux spreadsheet editor. This is version 1.4.3 and includes the full set of plugins. MUT (Media Utility Tool) version 0.0.5 is now in Puppy. This is a greatly enhanced drive mount/unmount alternative to Pmount. Printing support has been improved, with a patched AFPL Ghostscript version 8.51 and a patched AbiWord version 2.2.7...." Visit the project's news page to read more about the changes in Puppy Linux 1.0.4. SLAX 5.0.6, complete with KDE 3.4.1 and KOffice 1.4.0, has been released: "It's my pleasure to let you know that SLAX 5.0.6 is available for download, together with all the special editions. The most important changes include: added Linux Kernel 2.6.12.2 with ALSA sound drivers 1.0.9b; added better default GTK2 theme, so all GTK2 applications will look nicer; module extension (.mo) is now integrated into KDE context menu; removed 15MB of pcf fonts, this drops Chinese support; fixed bug in configsave / websave, which caused each even session to be wrong. Many bugs have been fixed in Unionfs filesystem so I hope it will be more stable then before...." Read the rest of the changelog for more details. A brand new version of the Berry Linux live CD has been released. This is the first release based on Fedora Core 4, but with several updates, including kernel 2.6.12 with SMP support + devfs + bootsplash, and KDE 3.4.1. Other interesting package upgrades include K3B 0.12, GIMP 2.2.8, and MPlayer 1.0pre7. 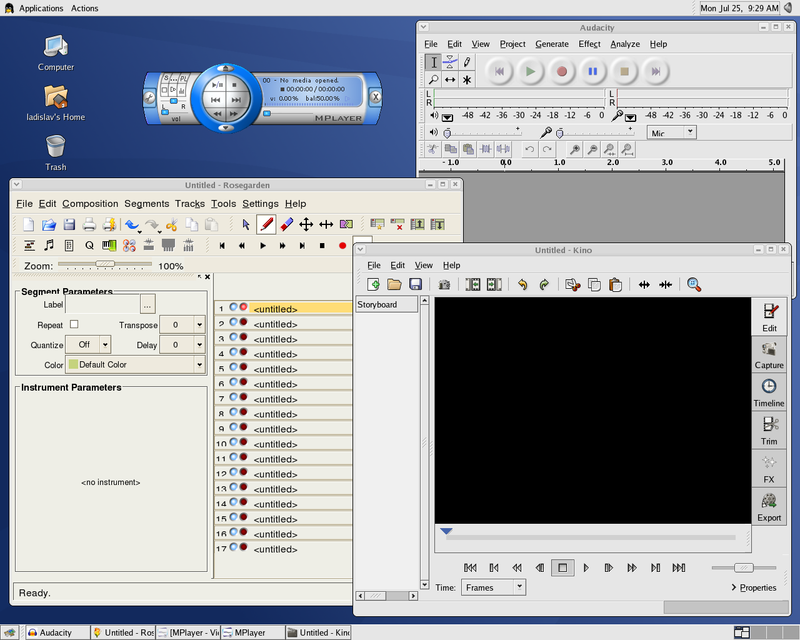 Besides a development version of OpenOffice.org 2, the distribution now also ships with the free editions of the TextMaker word processor and PlanMaker spreadsheet. See the complete changelog for more details. An updated set of ISO images of StartCom AS-4.0.0 (Enterprise Linux) and ML-4.0.4 (MultiMedia Edition) have been released: "StartCom released today updated versions of its newest operating systems StartCom Enterprise Linux (AS-4.0.0 Barak) and StartCom MultiMedia Edition (ML-4.0.4 Raam). These releases include security and bug fixes of over 170 updated packages each, including the latest updates of the kernel, OpenSSL and Kerberos. The updates include the very latest security and bug fixes including important security updates to ensure the best possible reliability." Find more information in the formal press release. A new version of Devil-Linux, a Linux live CD designed for firewalls, routers and servers, has been released: "I'm proud to announce v1.2.6 of Devil-Linux. The changes include Kernel 2.4.31, various program updates and the addition of missing netfilter modules. See changelog for details." Many other packages have been upgraded to their newest versions; these include PHP 4.4.0, Postfix 2.2.4, MySQL 4.1.12, PostgreSQL 7.4.8, OpenLDAP 2.2.26 and OpenSSH 4.1p1, just to name a few. Read the release announcement and changelog for more information. 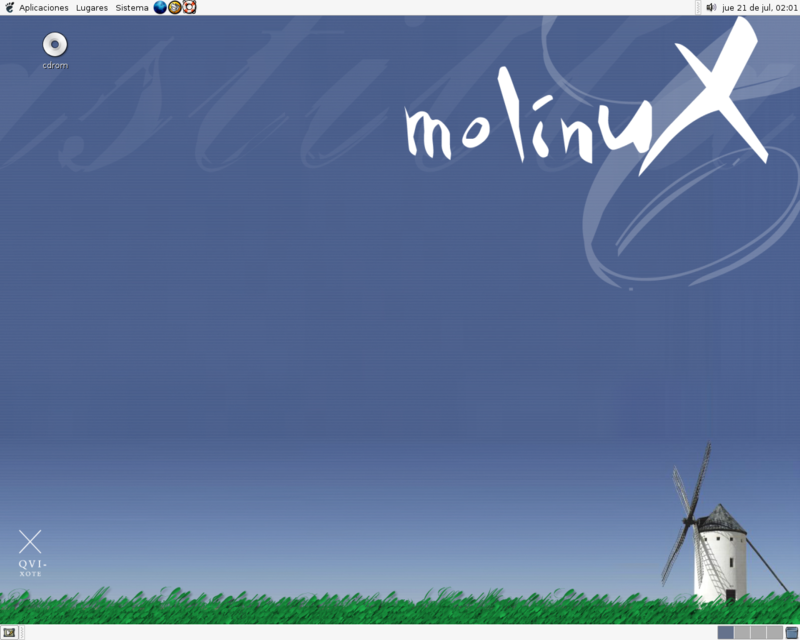 AnNyung LInux is an i686-optimised Korean server distribution, originally based on Red Hat Linux 7.2. Despite its relatively old code base, the distribution includes many updated packages and provides timely security updates. Version 1.2 was released today. The main changes are: updated kernel 2.4.31; support for SATA drives; support for remote network boot via PXE; new boot splash screen. Besides the update kernel, the new version also comes with the latest OpenSSH (4.1p1) and PHP (5.0.4). Read the full release announcement (in Korean) for further information. The developers of Minislack have announced a new name of the project, which will come into effect with the upcoming new release: "A new version of the distribution is under testing at the moment. Many packages were updated (more than 100), as the current changelog shows. A new hardware discovery service has been added, along with GNOME System Tools and CUPS configurator. We've decided to change the name of the project, many thanks all fair users that contributed to this difficult choice. The name and new release will be announced at the same time." Read more in this announcement. A reader has also informed us that the source-based distribution formerly known as Rubyx now operates under a new name - Heretix. The project's new web site can be found at h-e-r-e-t-i-x.org. ISlack. ISlack is a security-focused distribution based on Slackware Linux. To improve the security aspect of the distribution, servers have been removed, incoming ports closed and services turned off. Additionally, a set of penetration tools has been included. SNAPPIX. SNAPPIX is a KNOPPIX-based live CD Linux distribution with a pre-integrated SNAP Platform. It attempts to integrate the best open source Java components into an easy-to-use toolkit, revolving around an open source JVM implementation, the Eclipse IDE, and Apache Tomcat. These days, if you buy a digital camera, mobile phone or a digital music player, it is likely to come with a CD containing applications that make it easier for your new device to interact with a personal computer. Invariably, though, the software can only be installed on a system running a recent version of Microsoft Windows and, in case of a few broader-minded companies, on a Macintosh. But what about us, Linux users? Now you can browse the content of the mounted device in Konqueror, Nautilus or any other file manager you prefer. Some distributions make things much easier. For example, the latest Linspire will detect a digital camera in your USB port and will automatically launch Lphoto, an application designed for managing digital photographs. Besides Lphoto, there are several other image viewers, including the GTK+-based GQview (this is our favourite, with great zoom options and configurable slide shows) or the QT-based KView, among many other choices.